When we travel, we always try to dive face first into the local cuisine. What better way to get to experience a culture then through the flavors, smells, and experiences you find walking down the street in search of street side vendors and hole-in-the-wall mom and pop restaurants serving up delicious cuisine? You could almost say that this city was built around the street food it serves up. No matter what time of day it is, or where your feet may take you, you are sure to stumble upon some delicious Thai cuisine at every corner. 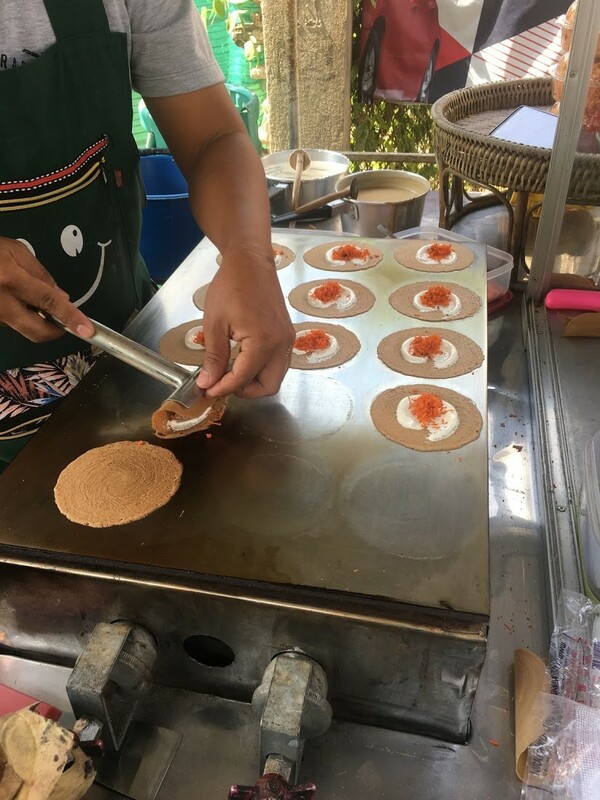 Not to mention the expansive food markets that line city blocks and back alleyways which have long made Bangkok a paradise for food lovers from around the world. Just be mindful if you can’t handle spice, Thai food can pack some serious heat! Malaysia is a melting pot of Asian culture with generations of people who have migrated from across the Asian continent. Besides making Malaysia a culturally rich country to explore, all of the diversity makes the food out of this world. In Georgetown, on the island of Penang, you can arguably find the most diverse assortment of street food in the world. Thai food, Chinese food, Indian food, Laotian food, Cambodian food, Burmese food, Indonesian food, American food, and so much more can all be enjoyed in one afternoon as you walk the busy streets of this UNESCO World Heritage Site. In Taipei, the best nightlife is found at food markets that stay open until the wee hours of the morning. Snacking is a way of life and spending evenings eating with friends and walking through the streets of the city is common practice. Though you can experience amazing food at any time of day in Taipei City, once the sun goes down and street vendors set up shop at food markets across the city, the full Taiwan foodie experience comes to life. For a few dollars a night, you can feast on some of the most delicious dishes in the world. In Mexico City, it is common for locals to dine on street food at least once a week. And who can blame them when the city is crawling with vendors serving up mouth watering chicharrones (fried pork rinds/belly), huaraches (masa dough and pinto beans), tacos, and tamales. With delicious, traditional Mexican cuisine everywhere you look it’s no surprise that Mexico City is known for being one of the most popular street food destinations. Recognized for being the best food city in the US by the Washington Post, one only needs to walk a few blocks to see what all the hype is about. Portland is home to over 500 food trucks that trawl the cities streets and the dishes they serve up are far from ordinary (much like the city itself). From vegan cuisine, to Sushi-ritos, Caspian kebabs, and Korean tacos you will have a hard time running out of new things to try in this beautiful and friendly city.